In our view, the new Wien Museum in the 21st century should be not only a venue for collections and the study of the past, but also a platform for communication, interaction and the development of new positions on the present and future of Vienna. 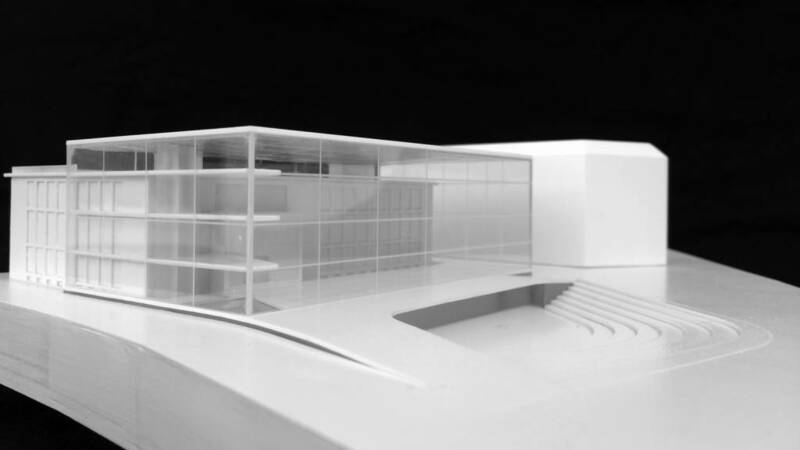 This vision is reflected in the architecture of our competition entry: The core of the design is the “Vienna space”, a vertical glass rectangle that envelops the existing building by Oswald Haerdtl, creating a spatial interface that enlarges the museum and links it with new functions while at the same time extending the urban space. 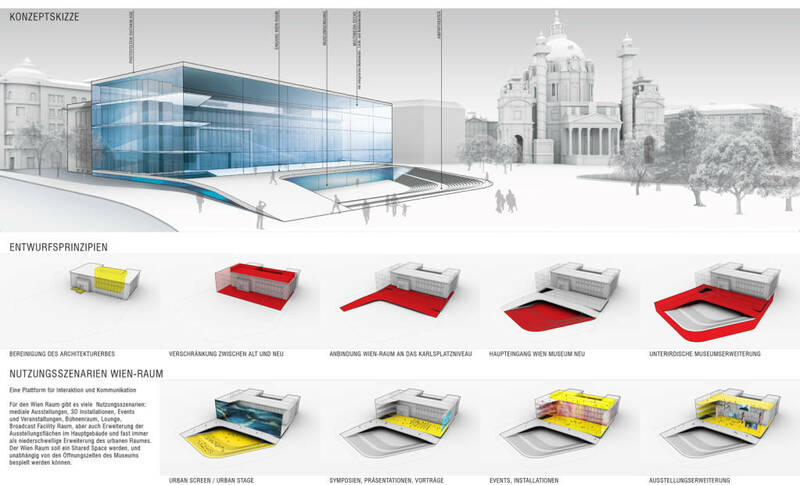 Besides providing an expansive, flexible and autonomous space for events, encounters, exhibitions and future forms of innovative content, the shell and volume of this rectangle also serve as a media interface for announcements, stagings and visualizations – communication between the museum and the city in the broadest sense of the word. Wien Museum becomes a live broadcasting channel. The permanent exhibition and the historical collection are organized and presented in a component of the existing structure below ground level. Karlsplatz has been topographically altered so that the main entrance of Wien Museum is now situated one level lower, thus opening up a spectrum of new possibilities for the utilization of the public space in front of it as both an amphitheater and a stage. The new uppermost level created by the glass envelope crowns the existing building with a multi-purpose seminar and conference area.